Some women wear stilettos confidently. They wear them to work, to the shopping mall and just about anywhere they go. For these ladies choosing high heels or platform shoes for a wedding would make perfect sense. However there are many other women who aren't comfortable wearing shoes with five inch heels on them. Fortunately for these ladies there is a huge selection of flat wedding shoes on the market today. These shoes are a fabulous alternative to stilettos and platform shoes. Individuals may choose wedding shoes with high heels because they seem more fitting for the occasion. However, because of the demand for flat shoes, designers have come up with many interesting and formal designs. There are flats on the market which are very decorative with appliqués, ribbons and rhinestones. There are also accessories designed to attach to wedding shoes to make them look formal and appropriate for fancy events such as weddings. When referring to flat wedding shoes the spectrum goes far beyond a basic closed-toe shoe. This style of wedding shoes could include sandals, pumps, ballet shoes and even flip-flops. Yes shoe manufacturers are now producing wedding flip-flops. Each of these shoe styles can be bought in a variety of designs. When choosing wedding shoes with no heel, the possibilities are endless. Flat shoes are suitable for any individual attending a wedding. Many brides wear flat shoes because they are comfortable and they simply feel better than heels. 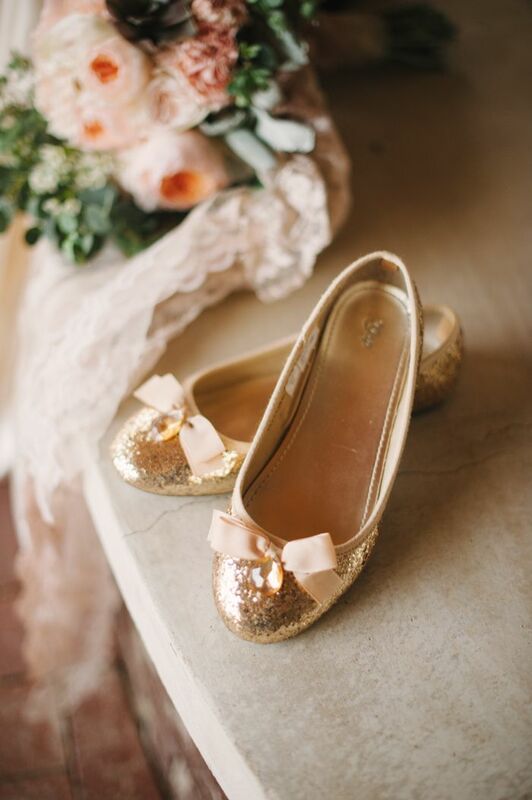 Flat shoes are perfect for the young girls in the bridal party like flower girls or junior bridesmaids. 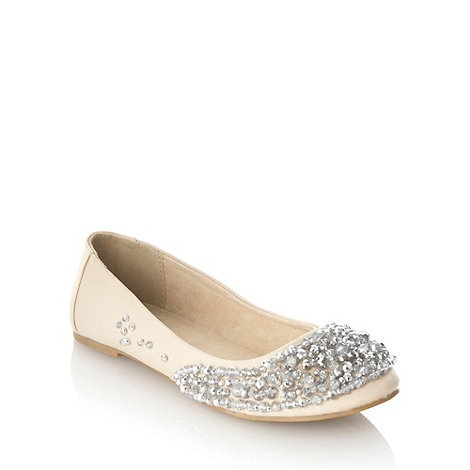 There are some very cute flat wedding shoes on the market for young girls today. High heels and platforms are not really suitable for little girls. Not only would they be uncomfortable but they'd be unsafe as well. When shopping for wedding shoes it's beneficial to realize there are dyeable types on the market as well. To ensure all female members of the bridal party are similarly dressed, their shoes could be dyed the same color. 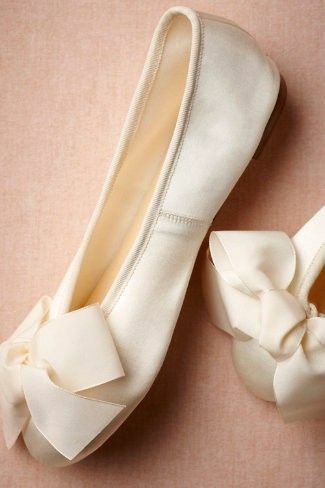 There are also flat wedding shoes on the market made from various materials. It may be possible to find them made from the same material as the bridesmaid's gowns, for example silk or satin. Shopping for wedding shoes is not at the top of everyone's list when planning to attend a wedding. It does require consideration however at some point. If deciding on flat wedding shoes the hunt shouldn't wait until last minute, especially if hoping to find them in a local shopping mall or shoe store. No doubt they'll carry a selection of wedding shoes but it may be limited. The best shopping center for fabulous wedding shoes at reasonable prices is the Internet. Shopping online not only provides access to shoe stores nationally but internationally. This worldwide access provides a much larger variety of designs and styles. If hoping to find flat shoes similar to those seen in a magazine or on a television fashion show, the Internet is the best possible opportunity.